Global warming (or some other polar climate changing condition for those of you who do not buy into the whole global warming argument) is creating a shipping lane along the northern coasts of Norway and Russia during the summer months, something that has not existed since the Ice Age. 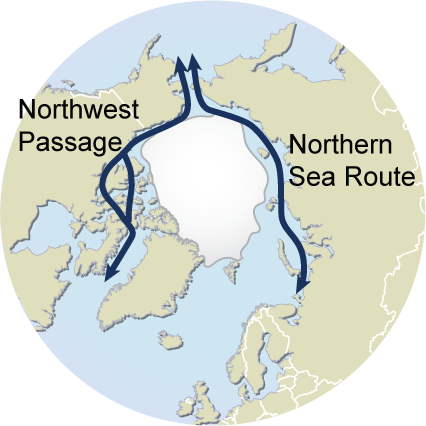 The Eurasian portion of the route, called the Northeast Passage (or the Northern Sea Route) is the polar equivalent of the Holy Grail for oceanic transport companies. Transit along this passageway reduces the sailing distance between Rotterdam and Yokohama (two of the world’s most well-developed ports) from 11,200 nautical miles to 6,500 nautical miles and cuts 40% off of the shipping costs. Historically, goods flowing from Rotterdam to Yokohama were shipped via the Atlantic, into the Mediterranean, through the Suez Canal, past the Somalian pirates, around India and through Indonesia. With the potential Northern Sea Route, the geo-political landscape greatly changes. According to United Nations data, over the past three decades, temperatures above the Arctic Circle have risen at about twice the rate of the global average, and Arctic sea ice contracted to its smallest area on record in 2009, covering 22 percent less than the previous low in September 2005. To the West, Canada and the US are already partial beneficiaries of a melting Arctic as the Northwest Passage from Seattle to Rotterdam saves shipping companies equipped to tackle the icy waters of Canada 2000 nautical miles and allows them to avoid the Panama Canal. The fly in this ointment: Canada is already claiming control of the entirety of the Northwest Passage. But control of the sea passage is not the only high stakes angle in play along the Arctic waters. According to the US Geological Survey, the Arctic accounts for 1/10th of the world’s known conventional oil reserves and 25% of the undiscovered reserves. According to the Stockholm International Peace Research Institute, China is well-aware of the resource upside of global warming and has designated significant resources in constructing an Arctic research laboratory and conducting polar studies. Russia’s NATO ambassador has stated that it would “not be defeated” in the “fight for resources” in the Arctic region Folks, notice the word choice? Those are military terms. The US supported a revolution in Panama and spent more on the Panama Canal than it had on any construction project the Nation’s history. Egypt actually enslaved its own people to construct the Suez Canal. The Northwest and Northeast Passages are critically important to global transportation and the energy resource fronts and there will be conflict over control and access. A new oil rush is coming,… and if 25% of the world’s reserves are in the Arctic, you can bet the US will be there,… providing some humanitarian support. "Our global economy, reckless in its use of all resources and natural systems, shows many of the indicators of potential failure that brought down so many civilizations before ours." Which non-PIIGS country is most likely to default? 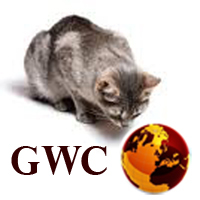 Copyright © 2019 Global Watch Cat. All Rights Reserved.